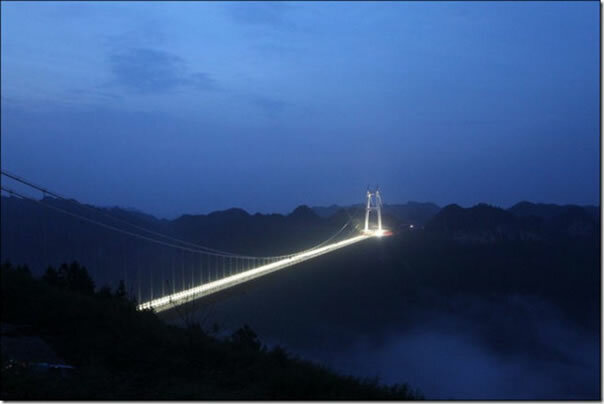 China has recently established a new record in building suspension bridges. 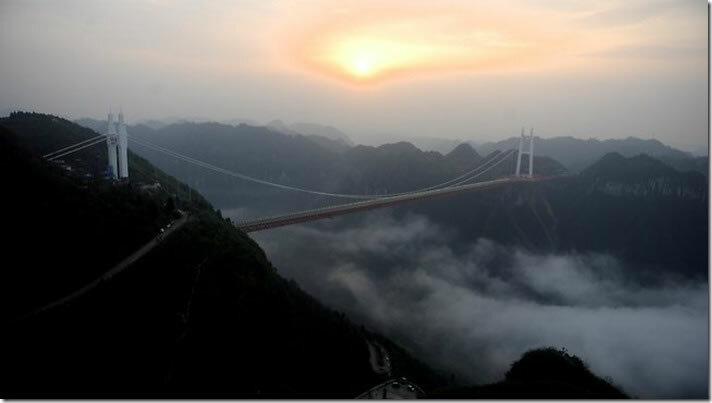 The world's highest and longest tunnel-to-tunnel suspension bridge was opened to traffic in March. 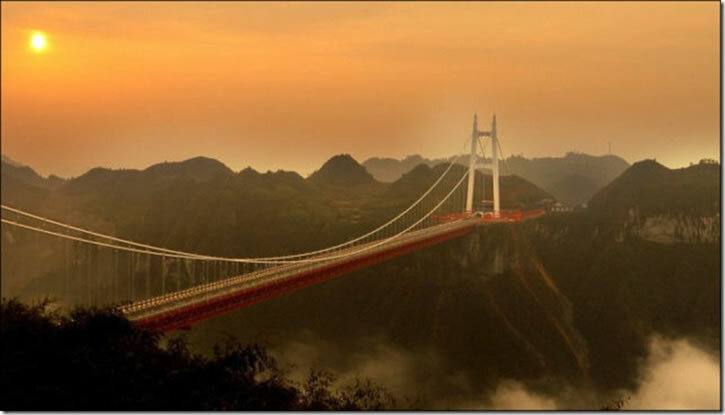 Aizhai Bridge in Hunan province is 336 m (1,102 ft.) high and has a 1,176 m (3,858 ft.) span. It connects two traffic tunnels in the mountains, cutting the time needed to traverse the canyon beyond it from 30 minutes to 1. 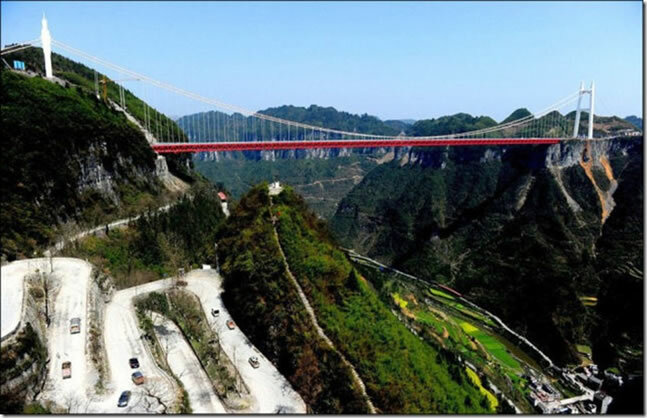 The bridge, which is located in Jishou, Hunan, measures 1176 metres across and is 336 metres above the ground, making it the world's highest and longest suspension bridge. Construction has taken nearly five years, with most of the work finished at the end of last year. It was built to ease traffic in the area mainly caused by its numerous narrow, steep roads. Pedestrians can walk along it on a special walkway and take in views of the Dehang Canyon. 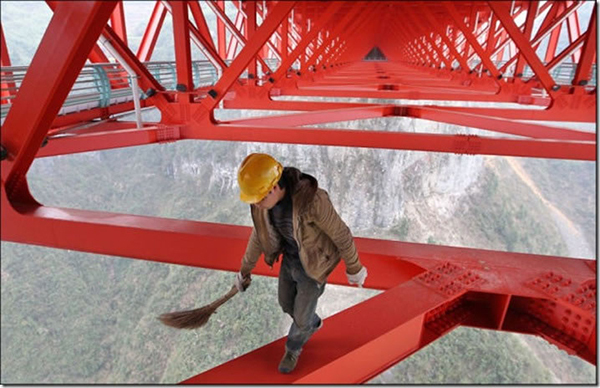 A brave worker put the final touches on the Anzhaite Long-span Suspension Bridge. 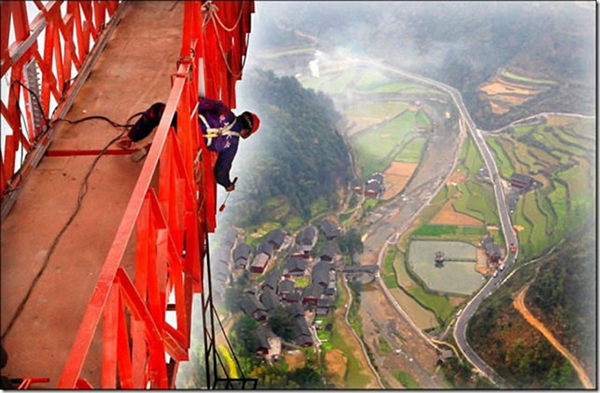 The ambitious structure is 336m high and 1176m long. 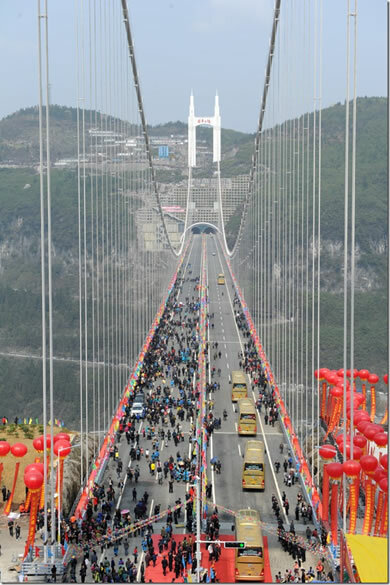 People and traffic stream across the Anzhaite Long-span Suspension Bridge during the opening ceremony. Once on the bridge cars and lorries can motor along a two-way, four-lane motorway at about 50mph. Pedestrians can also walk along it on a special walkway under the road. 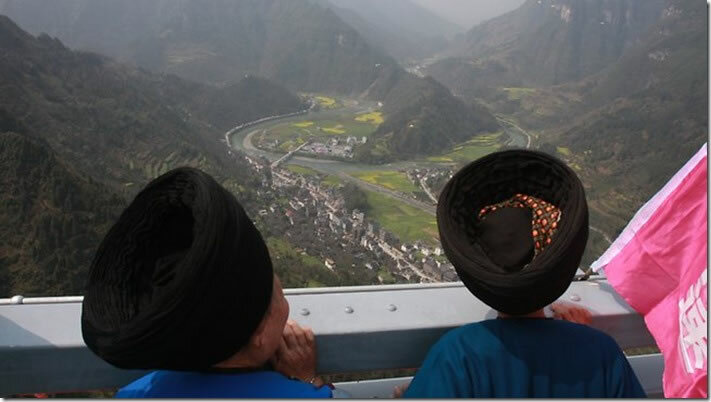 It is hoped the bridge will help ease traffic jams which are common in the mountainous area which has narrow, steep and winding roads. The structure is supported by a base 78ft wide. 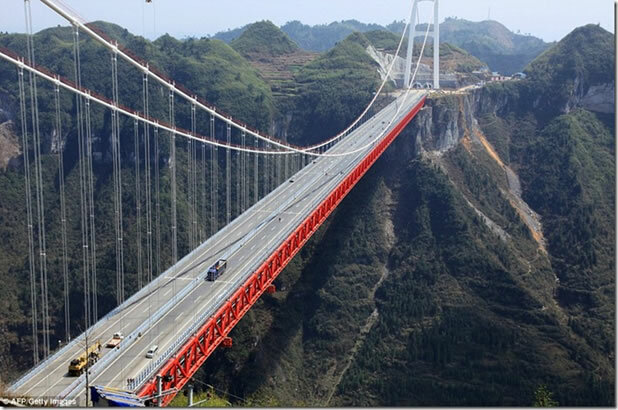 China is has the longest bridge in the world, the Danyang Kunshan Grand Bridge which is just over 100miles long and was built two years ago to carry the BeijingShanghai high-speed railway.